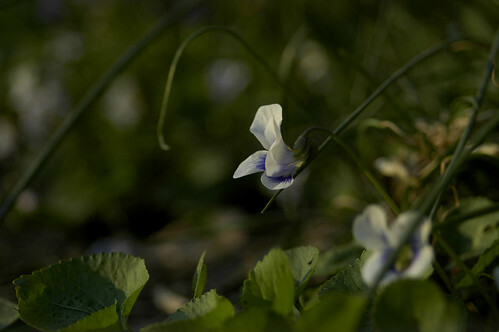 One single violet, originally uploaded by jahansell. OK enough of the flower photos - if I'm returning to blogging I have to think bigger. I'll start carrying my camera again and see what happens.